Do you need a break from the hustle and bustle of the holiday season? Well, as usual, the UFC has you covered. The promotion returns to free network television with its latest Fox card on Saturday, Dec. 16. This card boasts a main event that will likely go a long way toward crowning the next top contender in the UFC’s welterweight division. Former champion Robbie Lawler looked refreshed in his return bout against Donald Cerrone earlier this year. Lawler bested “Cowboy” in his first fight since losing the welterweight title to Tyron Woodley last year. Now, Lawler faces Rafael dos Anjos, who has looked reborn since moving up to 170 pounds. The Brazilian is coming off a submission victory over ground expert Neil Magny, and the winner of this fight will have a legitimate claim to a title shot. Does Lawler put himself in position to finally receive a title rematch? Or will the former lightweight champion dos Anjos have the opportunity to join the elite club of fighters with a chance to win belts in two weight classes? The co-headliner was supposed to feature a rematch between Ricardo Lamas and José Aldo, before the latter man stepped in on short notice but came up short against featherweight champion Max Holloway at UFC 218 earlier this month. Lamas will instead face Josh Emmett, who only has one loss in his 13-fight pro career and has a golden short-notice opportunity of his own against the UFC’s third-ranked featherweight. 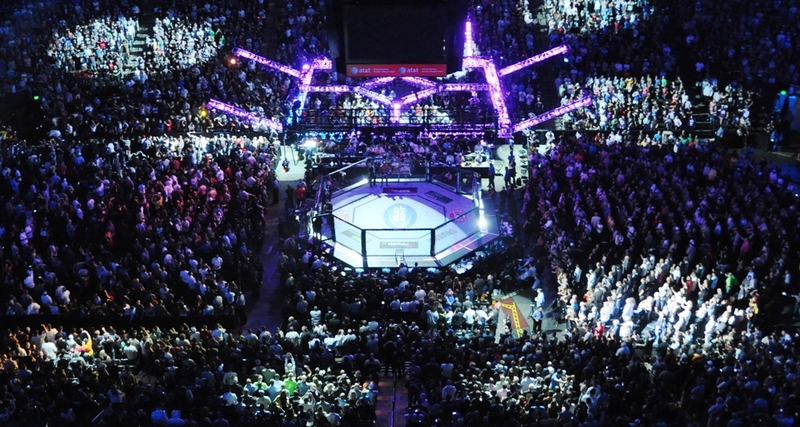 The UFC Fight Pass preliminary card begins at 4 p.m. ET on Saturday, Dec. 16, followed by the Fox Sports 1 preliminary card at 5 p.m. ET and the main card on Fox at 8 p.m. ET. In the meantime, Combat Press writers Chris Huntemann and Jaewon Paik are here to get you ready for the action in this edition of Toe-to-Toe. Headliners Robbie Lawler and Rafael dos Anjos have held UFC championships in the past. Does either man have another UFC title run left in him? Paik: Dos Anjos has looked phenomenal since moving up to the welterweight division, where he has defeated former Strikeforce welterweight champ Tarec Saffiedine and Neil Magny in his last two fights. 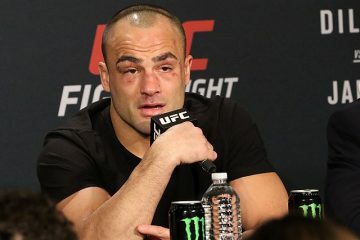 The toughness of the weight cut has certainly seemed to have taken a toll while he was fighting as a lightweight, and the former lightweight champion has looked much bigger, fresher and healthier since moving up a division. The question now becomes, is this truly the right weight for dos Anjos to compete in? Well, that question is about to get answered this weekend. Don’t get me wrong, wins over Saffiedine and Magny are very impressive, especially with the way dos Anjos was able to control Magny, but neither of them have looked their best in their last few fights. Lawler, on the other hand, has only had one hiccup in the past three years, and only against current welterweight champion Tyron Woodley. 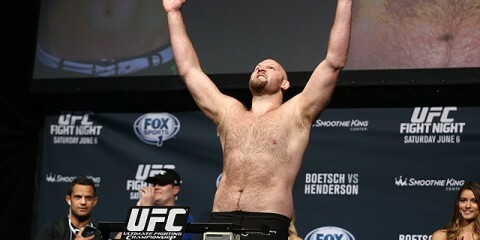 He looked like the Lawler of old in his return fight against Donald Cerrone. Lawler is a much bigger and stronger person physically than Saffiedine or Magny. He fought as a middleweight for quite some time earlier in his career, and he will arguably be the Brazilian’s most dangerous opponent thus far. Whether dos Anjos has title-run potential in this division will be hard to tell until this fight with “Ruthless” is settled, and he’ll have a very difficult fight against the former welterweight champion. Lawler, on the other hand, absolutely has another UFC title run left in him. 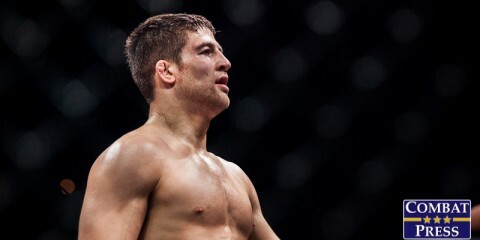 He has only had the one aforementioned setback in the past three years, and in those times, he’s delivered some of the most spectacular fights the sport has ever seen against Johny Hendricks, Rory MacDonald and Carlos Condit. Lawler won’t have much trouble getting back to a title shot against Woodley, and it seems like this fight against dos Anjos is set to be the No. 1 contender fight,. With a win here, Lawler could be right back in against Woodley soon. The one questionable factor for Lawler is his age. He’s already 35 years old and a longtime veteran in the sport, and he’s been through a countless amount of wars in his career. We don’t know how much longer his body will hold up at the form he is in right now. And with all the young talent coming up in the division at the moment, it is becoming more and more difficult to be the champion at 170 pounds. Huntemann: I’m actually quite excited about this fight. The return of Lawler and the addition of dos Anjos to the 170-pound division gives the weight class a shot in the arm. 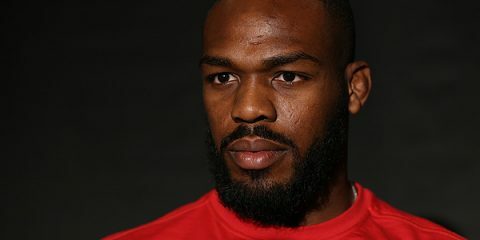 No one really knows what the champion Woodley is going to do next — except to not fight Colby Covington, apparently, despite Covington’s status as the rightful top contender right now — but a rematch with Lawler or a bout against dos Anjos would be a good test for Woodley, as well as a good fight for the division as a whole. 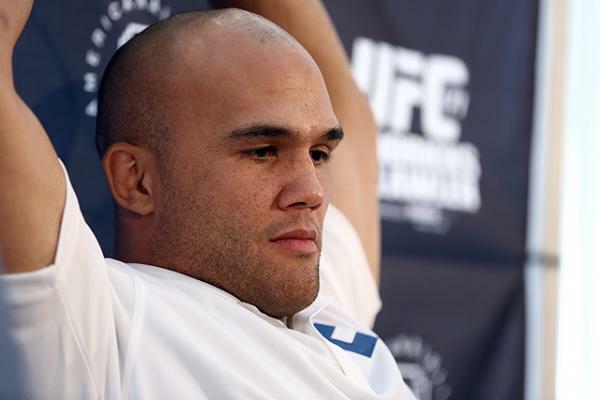 Lawler looked relaxed, refreshed and disciplined against Cerrone earlier this year. The time off he took after losing the title to Woodley seemed to work wonders. Lawler looked every bit the No. 1 contender. But dos Anjos has also been on a very impressive run recently, especially with his performance in his last fight against Magny. To submit a mat specialist the caliber of Magny (who has really come on lately) in the first round is no small task, and it definitively put dos Anjos in the conversation for a title shot. Woodley has excellent takedown defense, as we saw in his lopsided win against Demian Maia. He’s also one of the best stand-up fighters in the UFC. Dos Anjos would have his work cut out for him in a possible title fight. However, Lawler and dos Anjos are both up to the challenge of another title run. Lawler is supremely motivated to get back to the top, and he’ll outwork and outstrike dos Anjos for the eventual finish. Josh Emmett was a top lightweight prospect until he lost to Des Green. Now, he’s undefeated through one fight as a featherweight and gets a shot at perennial 145-pound contender Ricardo Lamas. Will Emmett post a breakthrough performance here that catapults him into a top-contender slot? Huntemann: Lamas seems to enjoy facing hot prospects looking to make a name for themselves at his expense. I reckon it probably lights a fire under Lamas, and I wouldn’t blame him. Lamas knocked out rising featherweight Jason Knight in the first round over the summer, and now Emmett gets to try his hand on short notice. Emmett is no slouch, however. He’s only lost once in the Octagon, and even that was a split decision. Lamas would be wise not to take Emmett lightly or let the disappointment of losing an opportunity for a rematch with José Aldo deter him. That won’t be a problem, though. Lamas has finished four of his last six opponents, and he is a significant step up in competition for Emmett. Emmett deserves all the credit in the world for taking this fight, but it shall be in vain. Paik: While I’m still a little bummed that Lamas didn’t square up against “The Korean Zombie” at UFC 214, his performances recently have looked like those of a veteran, which is exactly what Lamas is at this point in his career. We won’t see anything less than a top-ranked featherweight level of performance from Lamas every time he steps inside the Octagon, and this weekend will be no different. Emmett is a new addition to the featherweight division. He has had an excellent career thus far, winning all of his fights except for one. However, I couldn’t agree more with my colleague on this fight. Lamas is an experienced fighter. Emmett, 32, will have some trouble against someone like Lamas. This is Emmett’s first fight against a top-15 fighter in the UFC, which is indeed a huge step up in competition, and Lamas has a bit too much in his arsenal for Emmett. Pietro Menga and Julian Marquez — do we need to know these names? 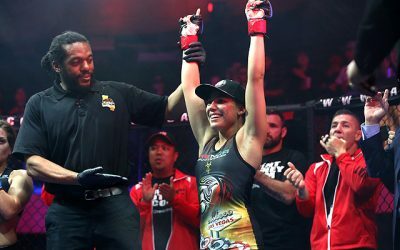 Paik: As both of these fighters make their UFC debut this Saturday, there are a couple of things to note about them. 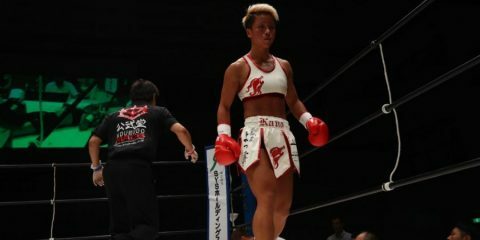 Menga’s most recent fight was in Bellator. 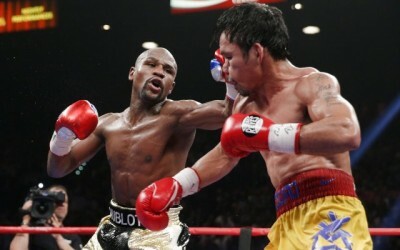 He possesses an undefeated record of 13-0. Whether the record is padded or not, we’ll find out this weekend, but he is certainly noteworthy. However, he has his hands full fighting The Ultimate Fighter 24 winner Tim Elliott in his UFC debut. If Menga can find a way to take out Elliott, then it could be a one-way ticket straight to the flyweight top 10. 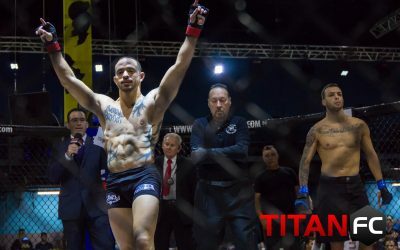 Julian Marquez was another prospect found on Dana White’s Tuesday Night Contender Series. He had an impressive showing against Phil Hawes where he finished Hawes via a head kick in the second round. With impressive knockout power and versatility, Marquez is definitely a scary up-and-coming force in the middleweight division. 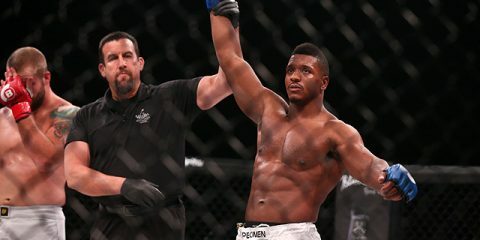 Huntemann: Anytime a new fighter makes his UFC debut with an undefeated record the caliber of Menga, you have to pay attention. His first test isn’t easy though. Elliott is one of the toughest fighters in the UFC and one of the rare few who has actually won a round against reigning UFC flyweight champion Demetrious “Mighty Mouse” Johnson. If Menga can pass that test, then he might be a fresh face that the flyweight division so sorely needs. You know what? I even like Menga in what some might consider an upset. Huntemann: The prelim bout between Julian Marquez and Darren Stewart. Admittedly, I’m just enthralled with the nicknames of both guys. I’ve previously professed my love of Stewart’s nickname, “The Dentist.” But Marquez easily tops that with his own moniker: “The Cuban Missile Crisis.” Bravo, good sir. Bra-vo. Slow claps all around. 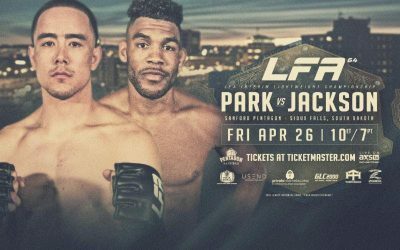 Paik: This card presents several strong match-ups, but I particularly like the clash between Chad Laprise and Galore Bofando. Laprise, since last losing to Ross Pearson, has looked very strong. 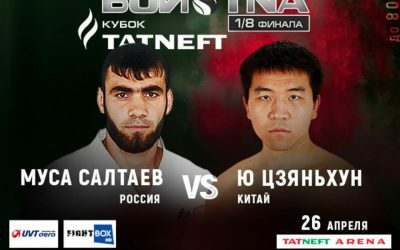 He finished both of his two most recent fights by TKO. In his second fight since returning to welterweight, he’ll look to make his name known to everyone. Bofando, while his record may not represent it, is a physical specimen. Both of his losses came via disqualification. Bofando is very dangerous when he gets a hold of someone — we saw this against Charlie Ward at UFC Fight Night 113. This is a great fight that’s flying under everyone’s radar. Paik: Any alcoholic beverage while sitting around with your buddies will do. This event features great fights, and you’ll likely be on the edge of your seats for most of them. It’s the last free TV card of the year, so enjoy it! Huntemann: It’s the holiday season, so what the hell. Grab some eggnog while you watch these fights. Throw in a little brandy or the alcoholic beverage of your choice, while you’re at it. To quote Chris Jericho, it’s the holidays, maaaaaaaan. Have fun and go nuts.